READING, PA (January 15, 2018) – Tormenta FC announced today the signing of former Reading United attacking midfielder Marco Micaletto to a USL League One contract ahead of the upcoming 2019 season. Tormenta FC, based in Statesboro, Georgia, are one of the charter members of the newly formed USL League One, which begins play this spring. 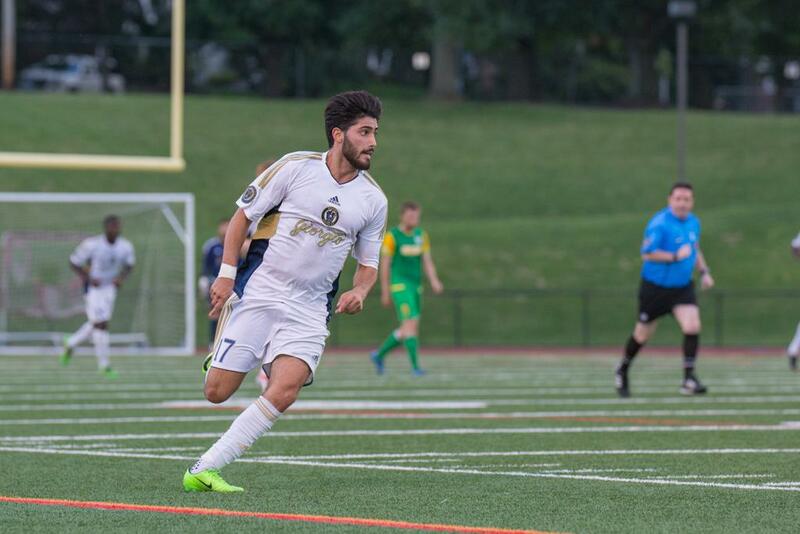 Micaletto, a native of Reading, England, suited up for Reading United during the 2017 Premier Development League season, playing in ten matches for the club, scoring two goals and recording two assists. The midfielder memorably scored the go ahead goal in Reading United’s 2017 U.S. Open Second Round upset of the New York Cosmos. Micaletto also scored a game-tying goal that sparked United’s come from behind victory over the New York Red Bulls U23s in PDL regular season play. The former United man played his senior season of college soccer with the University of Akron. The Englishman helped the Zips reach the 2018 College Cup Final, registering one goal and five assists while appearing in 24 games. Prior to his time with Akron, Micaletto spent three seasons with Young Harris College in Georgia. As a junior he started all 20 games for the Mountain Lions en route to posting a team-high with ten goals including four game-winning strikes and was named a 2018 United Soccer Coaches NCAA Division II All-Southeast Region first-team selection and an All-Peach Belt Conference first-team selection. "Marco was a fantastic part of the 2017 team both on and off the field. He was an integral part of the U.S. Open Cup run and has had success at Tormenta in their PDL team and then at Akron. He's a creative talent that I'm sure will do very well in USL League 1,” Reading United Head Coach Alan McCann said on learning the news that Micaletto had signed with Tormenta FC. Micaletto’s signing is the latest in a string of former Reading United players reaching the professional ranks. Last week, former United stars J.J. Williams, Kamal Miller, Ben Lundt and Mark Forrest were selected in the MLS SuperDraft while Zach Zandi signed with Bethlehem Steel FC. ©2019 Reading United AC / SportsEngine. All Rights Reserved.